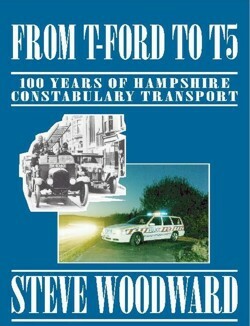 A book about the various cars used by the Hampshire Constabulary. Hampshire's use of Volvo's as patrol cars is unique in the UK and the force has an unbroken 38 year link with the marque. It pioneered the use of the 121 estate, went on to use the 144 DL in great numbers, used every type of 240 model from original 244 DL in 1975, tested the 244 GLT in 1979 (almost a year before the public got them) used the only 240 Police Specials in the UK right through to the last 240 GL's in 1992. It even had a couple of 264 DL's! The force later used the 360 GLEi and experimented with the 460 GLE, 740 Turbo, 960 GL and the 850 GLT. But it was the 850 T5 that gave a new generation of Police officers the thrill of driving a performance saloon with a Volvo badge. The original test car was a beast, no other word for it and it was on that basis that Volvo secured the fleet contract to supply Hampshire with it's new Traffic patrol vehicles in the mid 1990's over the Vauxhall Omega. Since then it has used a succession of 850 T5 estates and V70 T5 models and it's this car that remains the number one choice even now. Steve Woodward is a VOC member and has been a Volvo enthusiast for many years, borne mainly out of his admiration for the cars whilst using them as a tool for work on Traffic patrol duties in Hampshire. He has owned many Volvo's as his daily transport and currently owns a 1989 240 GLT saloon. His latest project is restoring one of his old patrol cars, a 1985 240 Police Special. Details of that can be found HERE.